What’s New in Car Innovation and Tech? Interested in learning how to reduce costs for car maintenance and how to maintain cars during different seasons? Read on. Start with a car that has good fuel economy. Skip cars that require premium fuel. Don’t drive so fast! Driving under the speed limit saves gas. Once you hit 50mph, you start to lose more fuel economy. The EPA states that you can tack on 18 cents to the price of each gallon of gas for every 5 miles you drive over 50. Watch out for extra weight–Fuel efficiency is affected by 1 percent for every extra 100 pounds. Think that cargo carrier isn’t doing anything to your fuel economy? Think again. They can reduce your fuel economy by as much as 25%. Shop around for fuel deals. Don’t idle your car. If you are going to be sitting for more than 10 seconds, turn it off. Learn to engage your cruise control when driving on the highway. Maintaining a constant speed saves gas. Like your air conditioning? Watch how much you like it because it can hurt fuel efficiency by 25 percent or more. Interesting fact: Once the car has cooled, air conditioning is actually more efficient at higher speeds than driving with the windows down because of the drag that puts on the vehicle. A new car loses about 25 percent of its value after you drive it off the lot. It is that depreciation that is the most expensive thing about car ownership. 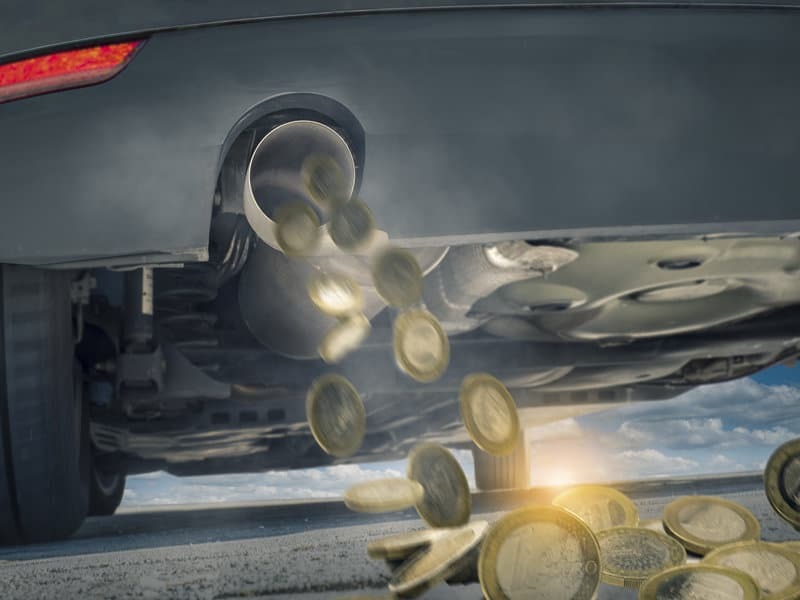 “The average American driver loses twice as much a year in the value of their car as they spend on fuel,” according to Michael Calkins, manager of technical services at AAA. Buy a less expensive car. Buy the car you need, not the car you want. Buy a 1-2 year old car that is just exiting a lease term; the leaser already paid for that initial depreciation–the chunk of the value of the car. Purchase a car with a high resale value. Do your homework. Not all cars have the same resale values and won’t depreciate the same way. When it comes to maintaining your car, choose a service provider you can trust. Set reminders on your phone to help you keep the regular car maintenance your vehicle requires. (Your car’s owner’s manual can help you with this.) Other tips, change your oil ONLY as often as required. Stay on top of tire rotations and the replacement of air filters. Taking good care of your vehicle will keep more money in your pocket. Scott’s Fort Collins Auto can help you stay on top of your car’s maintenance needs with our customized service options and schedules.